As a rule of thumb, I always choose dog food and treat brands for Gatsby that are natural and minimally processed. Meaning there is a small number of recognizable (and pronounceable) ingredients that are free from artificial preservatives, additives, and cheap fillers. One of our favorite brands is Bocce’s Bakery. Each product is made with organic, human-grade ingredients that are corn and wheat free. The company all began when Andrea’s beloved Bocce needed to drop a few pounds. Andrea was disturbed by the amount of preservatives, chemicals, and ingredients that were in her best buddy’s treats so she created amazing, healthy biscuit combinations. For instance, Gatsby loves the PBnJ treats which are baked with organic barley flour, blueberries, and peanut butter. Not to mention the Chicken Cordon Blue made with organic barley flour, hormone-free chicken, nitrate-free turkey bacon, and cheese. 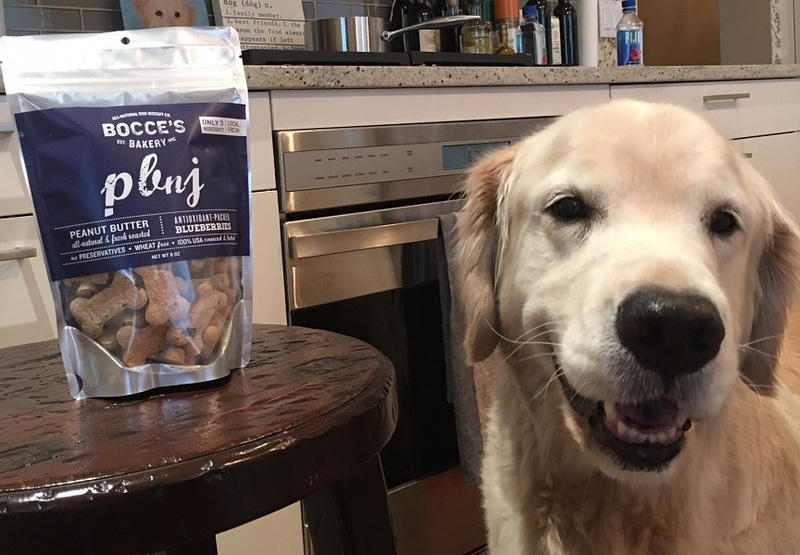 Gatsby gives Bocce’s Bakery four paws up and our Rockstar Doggy Momma stamp of approval!